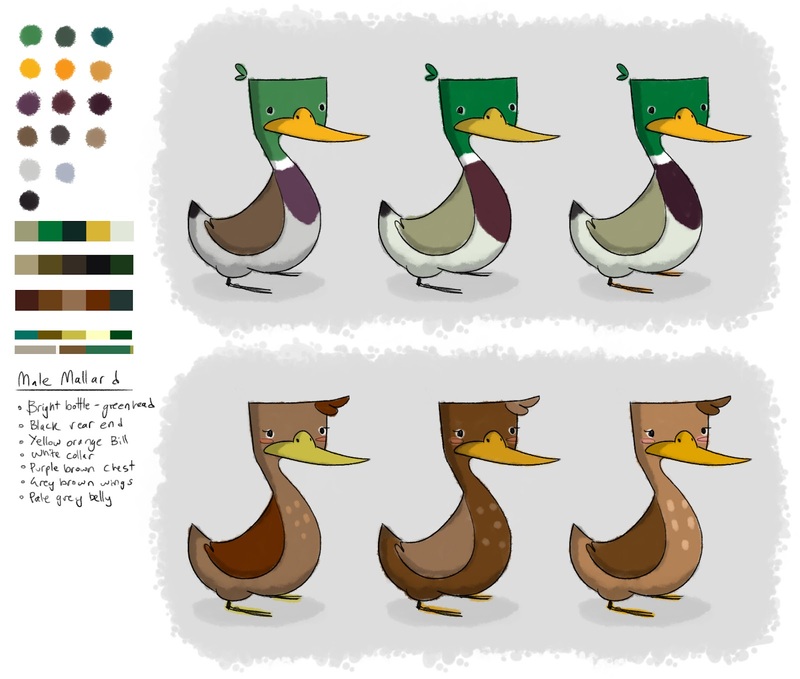 Here is some early Duck design and colour tests! After a bit more playing around with character volumes and poses I will jump into some mood boards and playing around with environments. I'm a little daunted by doing lip syncs with these guys. Those are the most unique ducks I've ever seen.